In Gomorrah, a New York Times Book Review Notable Book of the Year, Roberto Saviano revealed a true, devastating portrait of Naples, Italy under the rule of the Camorra, a crime organization more powerful and violent than the Mafia. In The Piranhas, the international bestselling author returns to his home city with a novel of gang warfare and a young man’s dark desire to rise to the top of Naples’s underworld. Nicolas Fiorillo is a brilliant and ambitious fifteen-year-old from the slums of Naples, eager to make his mark and to acquire power and the money that comes with it. With nine friends, he sets out to create a new paranza, or gang. Together they roam the streets on their motorscooters, learning how to break into the network of small-time hoodlums that controls drug-dealing and petty crime in the city. They learn to cheat and to steal, to shoot semiautomatic pistols and AK-47s. Slowly they begin to wrest control of the neighborhoods from enemy gangs while making alliances with failing old bosses. Nicolas’s strategic brilliance is prodigious, and his cohorts’ rapid rise and envelopment in the ensuing maelstrom of violence and death is riveting and impossible to turn away from. 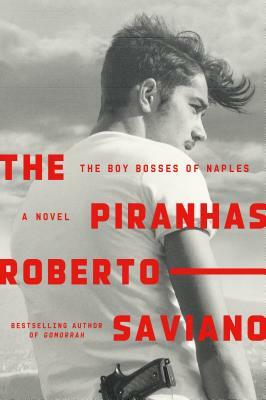 In The Piranhas, Roberto Saviano imagines the lurid glamour of Nicolas’s story with all the vividness and insight that made Gomorrah a worldwide sensation. Roberto Saviano was born in Naples and studied philosophy at university. Gomorrah: A Personal Journey into the Violent International Empire of Naples' Organized Crime System is his first book. In 2011 he was awarded the PEN Pinter International Writer of Courage Award.